The telltale sign of approaching winter cold has arrived. 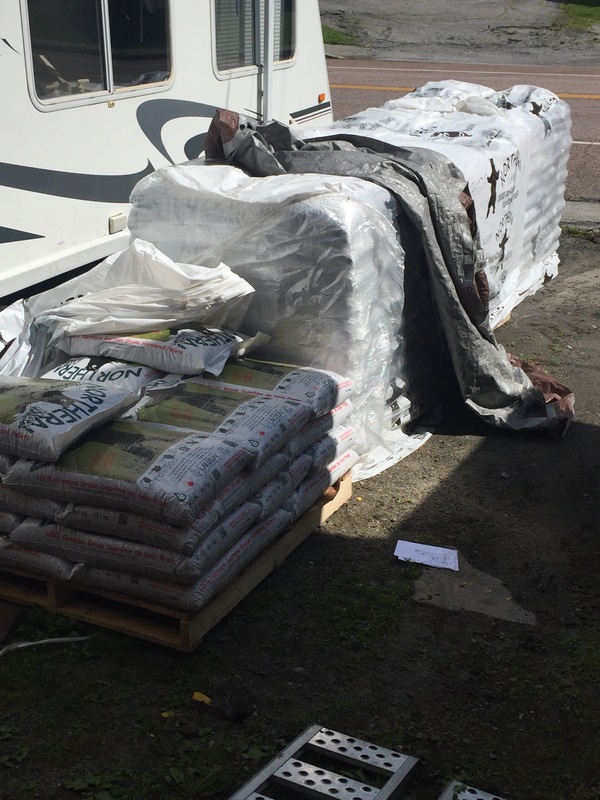 We have received or wood pellets, and this have to put them away. The first stop is getting the barn ready. 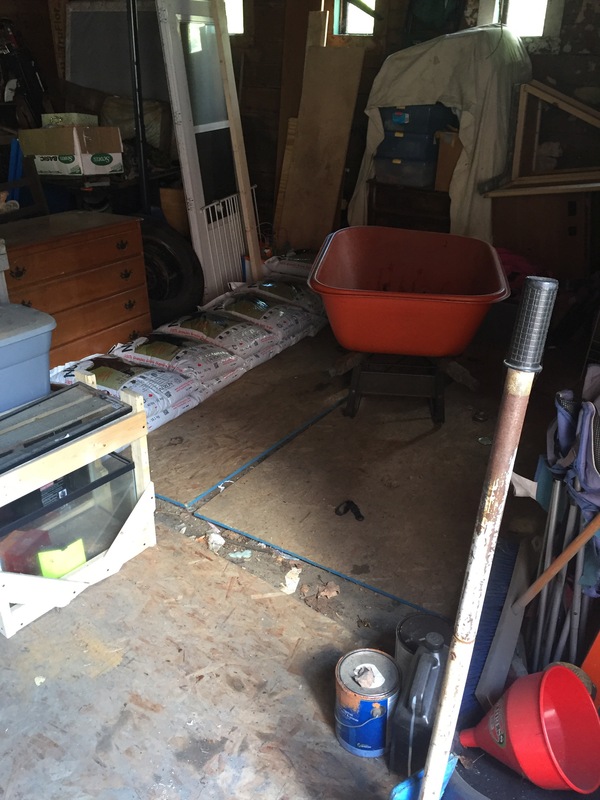 My barn is not what you would call…organized. Nevertheless I have made room. In the past I have done silly things like bringing the pellets in one bag at a time, and making 200 trips. I no longer have time for that. This year I’ve employed the wheelbarrow. The work is going seven times faster now. We have used wood pellets to heat for many years now. In combination with an oil burner the house stays plenty warm. Neither one though is locally sustainable. Basically meaning I cannot go out on my own and acquire an uninterruptible source for either. If you over think it this becomes a fairly scary prospect. Two tons down so far, the ramps an wheelbarrow have changed the way I do this completely. Another up side is the pallets that they shipped on will become part of the chicken coop.